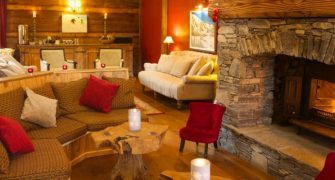 Black Diamond Lodge is owned and operated by the same people behind Venture Ski however, it is designed to ‘raise the bar’ and provide the absolute finest winter ski accommodation, top rated restaurant cuisine and a lively après ski bar in all of Sainte Foy. 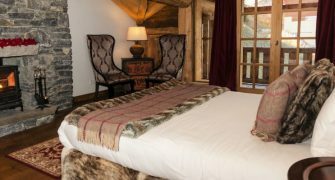 Located at the foot of the la Bataillette piste, the lodge offers easy access to a full range of mountain activities in a picturesque and unique environment. 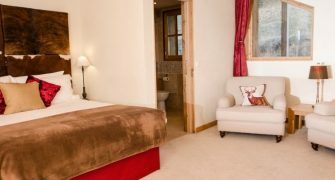 Not your average winter ski accommodation: experience the difference in Black Diamond Lodge, a truly spectacular Sainte Foy boutique hotel. 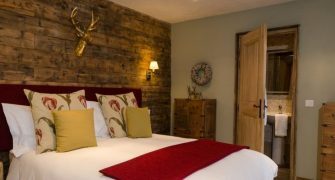 Built out of local stone and wood, Black Diamond Lodge features beautiful spacious rooms and bold interior design. 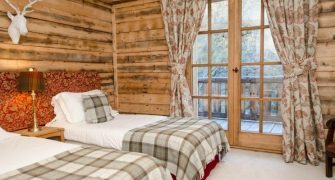 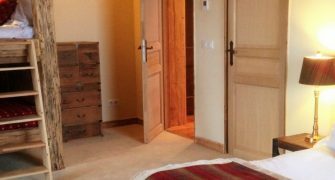 Spend your ski break in these stunning surroundings taking advantage of our #1 rated restaurant, outdoor hot tubs, log fires, private balconies, adjacent indoor spa and a range of Sainte Foy Tarentaise winter activities. 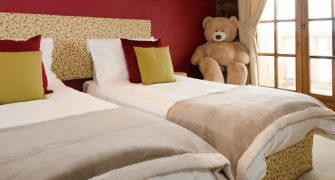 Our accommodation pricing and service is on a Bed and Breakfast basis however, if you wish to dine with us in Black Diamond Lodge Restaurant you will receive a 10% discount off of our a la carte menu including children’s dishes. 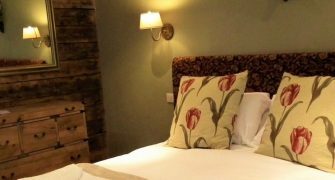 Choose how often you wish to dine with us and reserve your table reservations when you book your room.